Sharma R. Trichoscopic findings in various scalp alopecias. JDA Indian Journal of Clinical Dermatology 2018; 1-37. 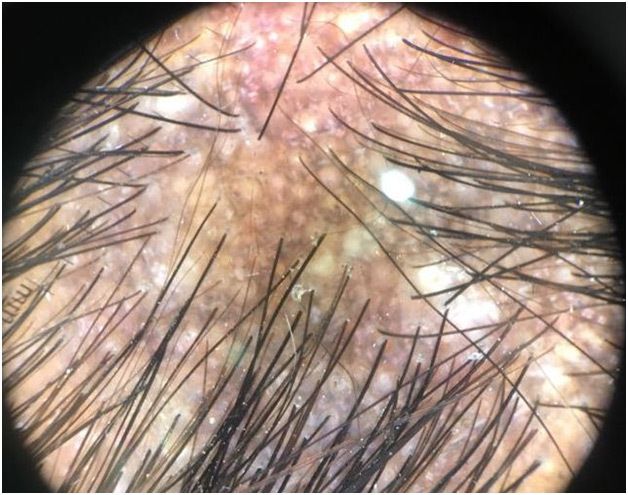 This is the dermoscopic picture of cicatricial alopecia .What is the classical sign seen in the picture and what is the final diagnosis? INDIAN JOURNAL OF CLINICAL DERMATOLOGY by DR. DINESH MATHUR is licensed under a Creative Commons Attribution-NonCommercial-ShareAlike 4.0 International License.